Today we are sharing instructions for beginners. If you are new to crochet or even if you are sophisticated crocherer with a vast amount of experience – it is always refreshing and relaxing to make something rather simple, yet beautiful and time worthy. 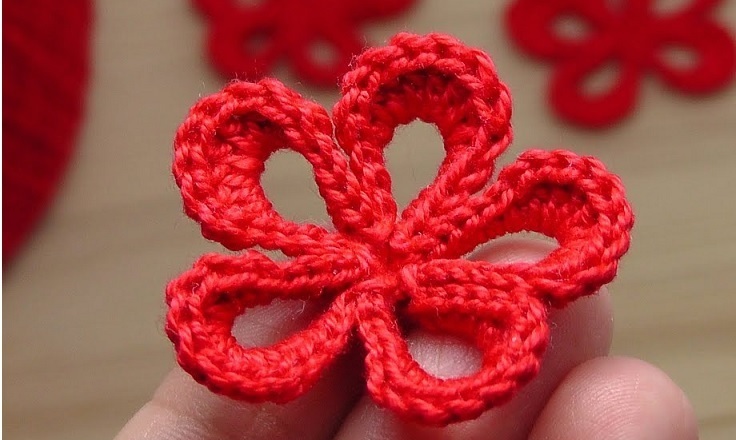 For that matter today we are going to learn to crochet a beautiful, yet very simple flower. The flower can be crocheted in less that 15 minutes and the whole process is just a piece of cake. Very fun and very relaxing – that what it is. The 3 step flower is just an arbitrary name, that puts emphasis on the fact that it is relatively easy to make this project and all of our readers can crochet them pretty fast.